Typically children available are 2 years of age and up to age 14. Many sibling groups are available. There are children under 5 years of age that have specific medical issues such as orthopedic, hearing, eyesight etc. and some correctable medical surgical issues. Most of the children in sibling groups are toddler age and up. Poverty, financial issues, death and unstable family environments are why children have been abandoned. Most all the children in the orphanages are abandoned by their birth parents. There are so many deserving and beautiful children in this country that desperately need homes and families to call their own. Hungary strictly enforces the maximum 45 year age difference for at least 1 parent. No exceptions. If the parent is older than 45 they can expect to adopt older children over 5 and up, depending on the age of the parents. There is no limitation of children already living at home with the adoptive family. The family must meet United States Immigration requirements as well as provide a complete dossier of paperwork to Hungarian officials. Families are required to adopt in birth order with the adopted child being the youngest. Complete medical information, social and legal profile of the child, and photo and video are provided for every referral. A private English-Speaking Physician will do the evaluation on the child prior to referral. The paperwork can be registered anytime after homestudy is complete and submitted. Families will receive a photo, medical. You will have a month to accept this referral. The available children live in foster care that is supervised by the Hungarian government under strict standards and small child care orphanage type facilities. The foster homes are private residences that are approved by the government. They are checked frequently by inspectors and the care that the children get under this regulated situation is a good home family environment. Children may also come from orphanages. The orphanages are kept under strict governmental regulations, so the care and treatment of the children is carefully monitored too. Families can expect to travel within 4-6 weeks of accepting a referral. This makes this program an asset to families wanting a little shorter adoption process when adopting older children. Both Parents must travel for a trip of 45 days. Parents travel to the child's place of residence to meet the child and must spend a total of 30 days with the child before the adoption can be completed. Adoptive parents spend a significant amount of time (7 hours) each day bonding with the child. 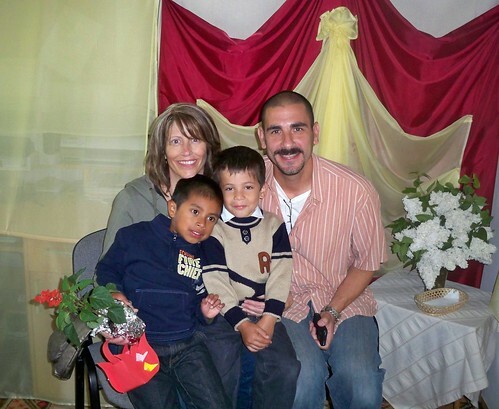 After about a week the family decides whether to move forward with the adoption process. Arrangements can be made so the adoptive parents can spend three weeks of this 30 day period in Budapest or another relaxing area along with the child. This is a very beneficial part of the Hungarian adoptive process for both the child and family. For Fee information please contact our office or fill out our info request form. You will be given a complete guide and assistance to all the documents that will be needed for your adoption. For further information about our Hungary Program please fill out our INFO REQUEST form. Hungary Pop. 9,905,596, is located in Central Europe, northwest of Romania and is slightly smaller than the state of Indiana. Landlocked Hungary is mostly flat to rolling plains; hills and low mountains on the Slovakian border with a temperate; cold, cloudy, humid winters; warm summers. It is estimated that more than 22,000 orphaned and abandoned children are in state custody in Hungary. Hungary is in a strategic location astride main land routes between Western Europe and Balkan Peninsula as well as between Ukraine and Mediterranean basin; the north-south flowing Duna (Danube) and Tisza Rivers divide the country into three large regions.